ADVNC is the innovative leader in lacrosse training and development, designed and directed by Tewaaraton Award winner and MLL All-Star Chris Rotelli. In collaboration with the world’s best lacrosse players and top NCAA coaches, ADVNC offers various instructional camps, tournament teams, college recruiting, and other game-elevating tools for beginners to high schoolers, advancing player potential and performance to the next level. Coach Rotelli carefully evaluates each player based on key criteria. Thus, ADVNC programs follow a phase-by-phase progression chart to fit any player at the appropriate level, all the way to college acceptance. Be respectful. It is important to be open minded to others needs and feelings. Show respect to others, yourself and the equipment. Work hard. Be a risk taker – be brave to try new things. It is important to try your best and understand practice is necessary when learning a new skill. Be honest. Be honest with yourself and others. The Firehawks is a youth lacrosse club dedicated to bringing the sport of lacrosse to kids on the Peninsula. We are committed to learning, playing and loving lacrosse. The mission of the Firehawks is to develop a true and lasting love and passion for the game of lacrosse. 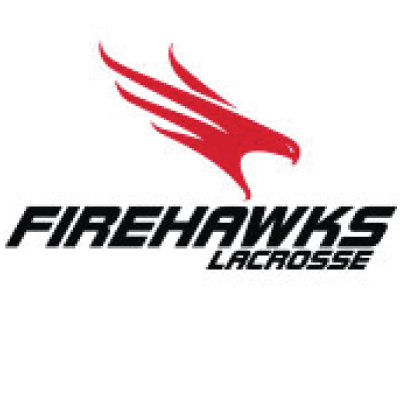 The Firehawks are dedicated to developing lacrosse skills, good sportsmanship, teamwork, accountability and respect in a healthy and fun environment. The Firehawks believe that winning is just a by-product of team character and individual effort and growth. 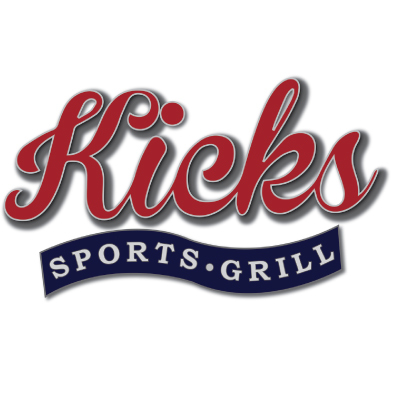 Where else can you enjoy your freshly made pizza, drink that cold beer and watch the game that your son or daughter is winning? We all know is only here! And that's why we bring you just the best. Top quality food for the best price. Competition can't just beat that! And that's why we are the best! So bring your family and we will make sure they are happy. Bring Uncle Bob, we all know he loves nachos with a nice cold beer and an entertaining game. Tasty food is our mission and obsession! Hi-Five's core focus is on a multi-sport summer camp (Hi-Five Sports Camp). This is an 8-week sports extravaganza and a prized lifetime memory for former campers. The remainder of the year is focused on providing leagues, camps, classes and parties for customers at a level that is unmatched by other organizations. Hi-Five Sports sees team sports as a vehicle for improving the current and future well being of children. NC Fit is headquartered in the Bay Area and was founded in 2008 on principles of fitness, community, accountability, and integrity. It is our mission to offer the best possible service aimed at helping people of all fitness levels improve their quality of life. Our community-based strength and conditioning fitness programs have been proven effective globally and deliver unparalleled results. NJB Mission Statement to inspire our youth; regardless of race, color, creed, or national origin. To practice the ideals of health, citizenship and character. To implant the game elements of safety, sanity, and intelligent supervision; and to keep the welfare of the player first, foremost, and entirely free of adult lust for glory. To emphasize teamwork for all participants. Red Rock Volleyball Club offers power and premier teams during the indoor club volleyball season from November through June. Over the summer months of June, July, and August we offer sand volleyball teams, camps, clinics, and lessons. In the fall months of September and October we offer additional clinics, lessons, and open gyms. Team Esface is pronounced /es-FAH-chee/. It is an acronym for Education and Service through Fashion, Athletics, Community and Entertainment. Team Esface runs skills clinics for all ages and abilities throughout the entire year; offers recreational ReaLeague in the fall (Sept-Oct); tryouts-based AAU teams in Winter and Spring/Summer seasons (Nov-Feb and Apr - Jul); and delights kids with six weeks of Summer Hoop Camp (Mid June - August). We provide training programs at our locations in San Francisco and Redwood City (Peninsula) in Northern California. We offer After School Fencing & Fitness Programs providing a unique way for kids to exercise; improve their health and overall physical fitness level, while enhancing their self-esteem, confidence, focus, creative and analytical thinking abilities. Whether seeking a fun-filled, recreational youth beginning fencing and fitness experience or dreaming of excellence as a top world level competitor, Xcel Fencing has a training program and system designed to help students achieve their goals. Come see what all the excitement is about! Indoor lacrosse, played in a hockey-rink sized arena, is a great way to work on your game. If you’ve never played indoor, this is a great place to start. If you’re an experienced indoor player then you know how action-packed the game is! SixFifty Lacrosse is excited to partner with The Sportshouse in Redwood City to provide indoor lacrosse leagues for High School boys and girls, Middle School Boys, and Boys Under-11.